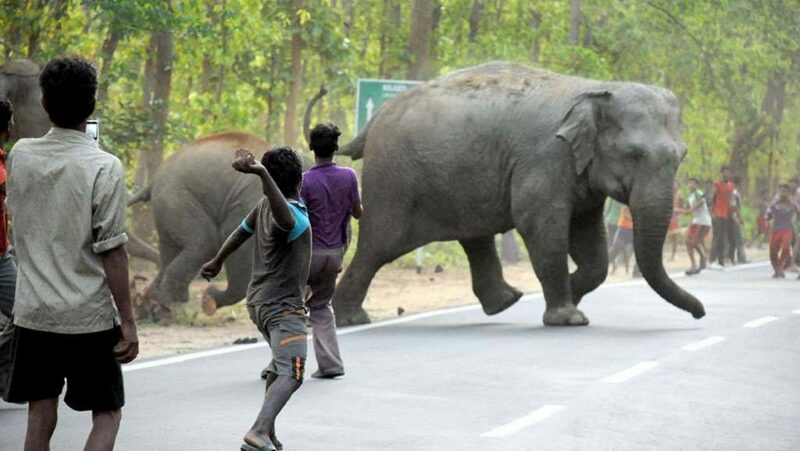 An angry mob of villagers in a remote settlement in India attacked a mother elephant and her calf after they stepped on the residents’ crops and damaged it. 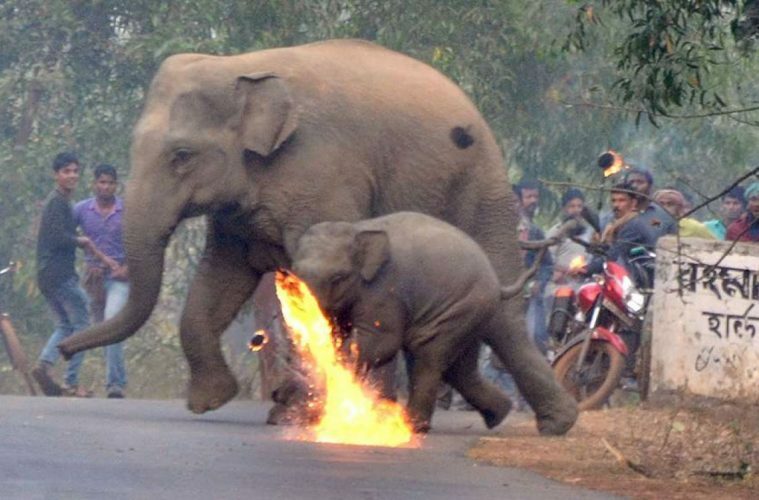 The photographs were taken by Biplab Hazra in Bishnupur, India, where the villagers could be seen hurling firebombs at the elephants. 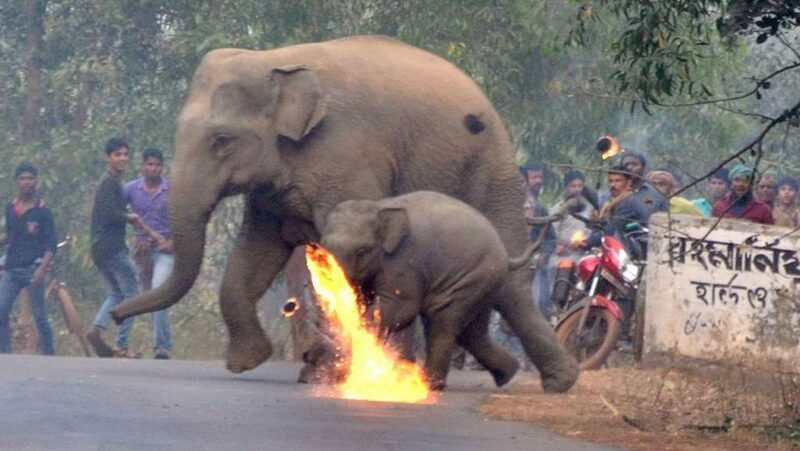 Aside from firebombs, some men even threw big rocks at them as the elephants tried to flee the scene. This photo captured the everyday scene in India, reported The Independent. 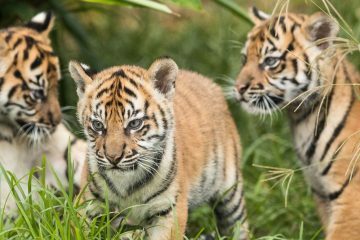 Human population in the area has been rapidly increasing, while deforestation limited elephants from their needed resources and left them less to no space to live. 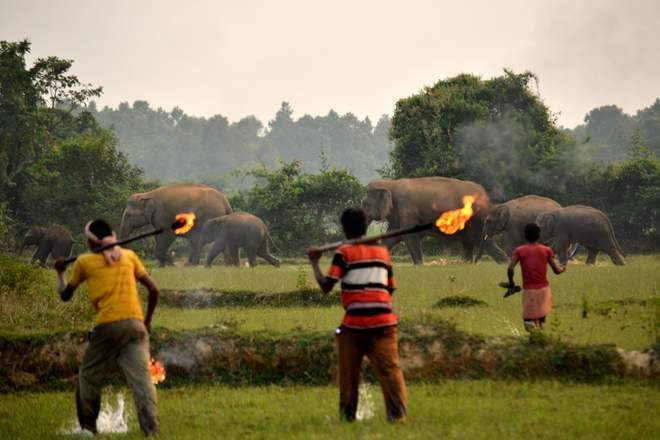 This drives herds of elephants to move where the villagers and farmers grow their crops to have something to eat, but this just causes more conflict between them. The Australian Broadcast Corporation reported that at least 70 people died in the Indian state of Assam last year due to the continuous clashes. Meanwhile, the same number of elephants have died as well due to clashes, poisoning, getting hit by trains and some even get electrocuted by power lines, according to Fox News. Indian elephants are listed as endangered by the International Union for Conservation of Nature (IUCN) as their population declined by more than 50 percent since the 1940’s – driving them closer to being critically endangered. No matter how much people try to drive away these elephants from their crops, an elephant’s dung is an important factor in spreading germinating seeds and plays an important role in the forests and grasslands, according to a report by Harry Cockburn for the Independent.